Everybody loves ice cream. Even those who say they don’t won’t be able to resist a yummy scoop of ice cream with all the trimmings on a hot summer day. Most people know that ice cream is fattening, but this frozen delight has some health benefits too. But just like anything in life, too much of a good thing is bad for you. In today’s post, we are listing down the advantages and disadvantages of everyone’s favorite dessert: ice cream! Yes, ice cream is actually rich in essential nutrients. In fact, this frozen dessert is loaded with vitamin A, B6, B12, C, D and E. Ice cream is also full of vitamin K. Vitamin K is an important nutrient that thins out the blood and prevents blood clotting. Apart from vitamins, ice cream is also rich in antioxidants, niacin, thiamine, and riboflavin! These nutrients strengthen the immune system, as well as improve organ and nerve functions. Your body will put to good use all the calories that your favorite ice cream have. Ice cream is a great source of energy. It’s rich in carbohydrates, fats and proteins needed to synthesize energy. As long as you eat in moderation, you won’t gain weight by eating ice cream. Who knew ice cream is rich in essential minerals too? This frozen dessert is chock full of calcium and phosphorus. Calcium keeps the bones and teeth strong. It also promotes a healthy cardiovascular system. This mineral also maintains healthy kidney functions. However, the body cannot absorb calcium well without the presence of phosphorus. This mineral also keeps the joints healthy and prevents PMS. Ice cream contains a compound that stimulates the production of thrombotonin. Thrombotonin is a hormone that uplifts the mood and prevents mood swings. This hormone also reduce stress levels. On top of that, the L-tryptophan in milk acts as a natural sedative. It relaxes the nervous system, prevents insomnia and stimulates the brain. The higher whole milk content in ice cream makes it high in fat and saturated fat. Fat from ice cream isn’t all that bad. It provides energy, protects the organs from stress and stimulate the production of important enzymes. But saturated fat could lead to cardiovascular diseases and weight gain. Consuming too much ice cream will lead to elevated cholesterol level. Just half a cup of vanilla ice cream contains 25 mg. of cholesterol. If you have high cholesterol level in the blood, eat ice cream in moderation. There is a reason why diabetics can’t eat ice cream, it contains copious amounts of sugar in every serving. 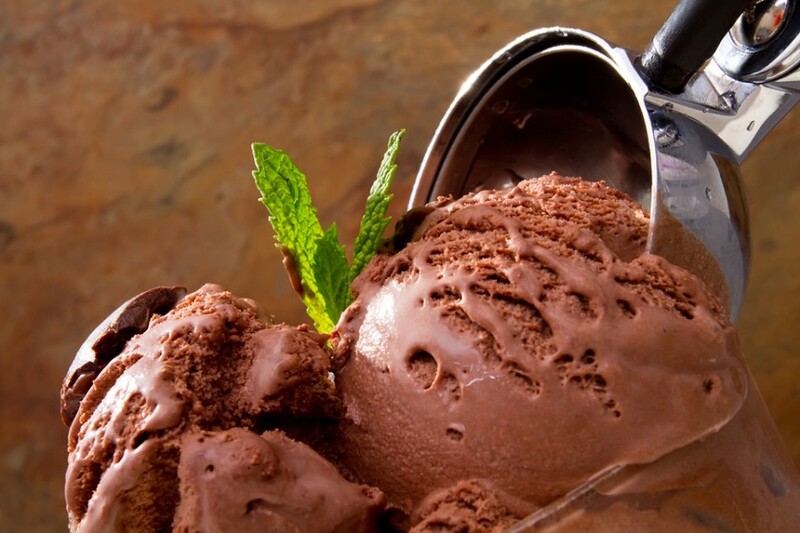 Eating ice cream regularly will lead to weight gain, cardiovascular diseases, and diabetes. Just a serving of vanilla ice cream contains 40 calories from sugar which is 40% of the American Heart Association’s recommended daily consumption of sugar for men and women.